We provide low minimum order quantity customisation services on range of basic and premium pen such as plastic pen, stylus pen, metal pen, pen with highlighter and so on. All pen can be customised with up to 4 colors logo printing. Metal pen can be customised with laser engraving. Contact us for quote now! Promotional metal pens do the work for you — putting your promotion in the palm of your customers’ hands with a difference they can feel. Market your brand and show your customers the appreciation they deserve with TREA’s selection of personalized metal pens. These writing instruments are great opportunities for you to get your name out to your target markets. Your clients will be reminded of your brand each time they use one of these custom pens and feel like a valued customer. Our wide selection of customized metal pens offer you different options to present your company with utmost professionalism. TREA’s selection of promotional metal pens feature substantial ink capacities for long lasting usage. As compared to plastic pens, promotional metal pen also have the potential to last longer. The added durability stretches over the average six-month life span to give you more brand exposure. We offer many different types of metal pens from caps, click tops and twist tops. Several pen options also allow you to pick between gel ink and ballpoint tips. A custom metal pen is a popular corporate gifts in Singapore especially for corporate events and VIP customers. Every personalized metal pen can be packaged with box or pen sleeve, which further enhances it to be a premium gift for your guests. The best attribute of these promotional metal pens is the personalization options. We are able to metal pen engraving or do silkscreen printing with your desired text or images. Laser engraving offers an elegant and premium look with a higher perceived value. It is also able to bring out details of a logo in minuscule sizes. Which compared to silkscreen printing where smudging may occur. The disadvantage of an engraved pen is that the color outcome would only be silver. Therefore it is also not suitable for a silver metal pen to be engraved as the logo will not be visible. That being said, silkscreen pen printing is preferred when printing logos with colour when it comes to metal pen printing. You can also print in a variety of fonts to showcase your messages clearly. 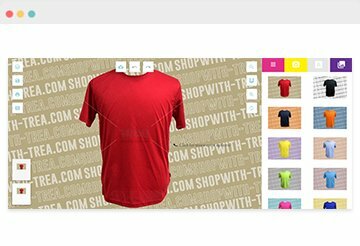 Nevertheless both customization methods are high quality and it boils down to personal preference. You may request for add-ons such as velvet pen sleeves to make your promotional metal pen feel even more remarkable. Brand logos and text can be custom printed on pen sleeves and gift boxes using silkscreen printing. Promotional metal pens are special because they create a different sensation whenever we use them. Most of our vivid memories are related to our senses. Metal pens appeal to our sense of touch differently from a common plastic pen. As a result, users are more likely to remember using your branded metal pen. The cool, smooth metal barrel is classy and feels more premium because of its weight. They are typically attainable at less than $10, complete with a box or pen sleeve. Essentially, the cost of promotional metal pens are cheaper than other premium corporate gifts in Singapore. Pens are handy and functional gifts that are constantly carried around. For this reason, they are strong branding tools at affordable cost.